Description: Pitch and putt style course. Designed and installed as an Eagle Scout Project. Follow the yellow markings on the basket and signs to the trail for the next tee. Local Directions: From the west: I-276 to exit 351. Keep right at the fork and merge onto U.S. 1 S and exit onto PA-132 W/E Street Rd. Continue for 5.2 miles to a right on PA-232 N. Park is on the right in .8 miles. From the east: I-276 to exit 352. Turn right on PA-132/E Street Rd and continue for 5.4 miles to a right on PA-232 N. Park is on the right in .8 miles. Enter the park, go straight to the 2nd stop sign and turn right at the bathroom. Drive to the end and park by the large field with the two pavilions. 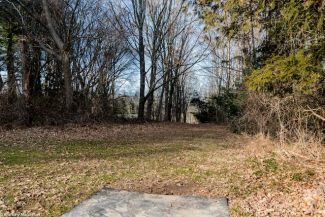 The first tee is straight behind the pavilion closest to the parking lot.